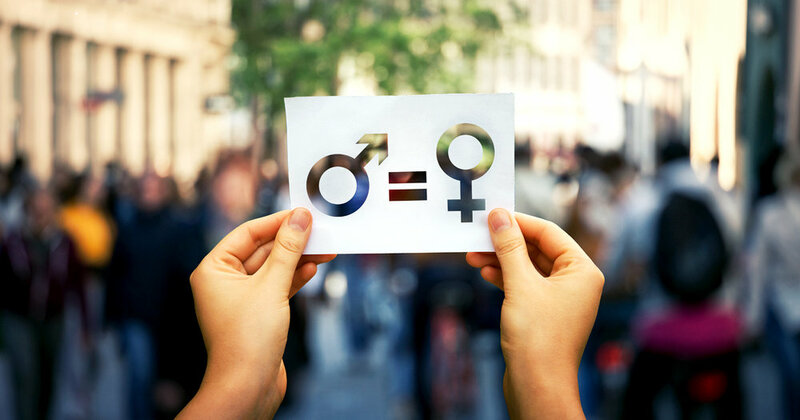 To create value for their portfolios and the world by promoting gender equality, mutual funds can do more than just invest in companies with strong policies and practices. Fund managers have the power to advocate at companies they own to improve their gender balance, and they have a track record of success. On International Women’s Day in 2017, State Street Global Advisors introduced a statue of a fearless girl, standing strong on Wall Street. The third largest money manager in the world, State Street followed up its installation by sending letters to 600 companies with all-male boards of directors, and voted against members of their boards absent change. Since the letter, and the work of many other investors and interest groups, more than 300 companies have added a female board director in response to its demands. The world’s two biggest asset managers, BlackRock and Vanguard, have followed suit. Driven by the economic case for gender diversity, they have updated their voting guidelines and directly engaged with companies to support more women on boards. Mainstream asset manager involvement bolsters a decades-long gender equality campaign. In 2010, the Thirty Percent Coalition was formed to raise awareness around the business case for gender parity. The Coalition organized investors to pressure 150 companies to add women to their boards. Investors have also played a role in the promotion of gender equality throughout civil society. Calvert Investments developed guidelines that informed the UN Global Compact’s Women’s Empowerment Principles. Investors continue to drive the pursuit of gender parity through innovative angles. For example, for the last two years, Zevin Asset Management has pressed tech companies to tie executive compensation to diversity and inclusion metrics. Many mutual fund managers now make the argument that gender pay parity, in addition to board diversity, is essential to corporate performance. The campaign began in 2014, with Arjuna Capital’s shareholder proposal for eBay to close its gender pay gap. Though it only received support from 8 percent of shareholders, the next year, support grew to 51 percent, and eBay committed to pay parity the day of the vote. The campaign took off. Over the last four years, 10 different investor groups have engaged with at least 47 companies, asking them to report on their policies and goals to reduce any gender pay gap, earning commitments from more than 20 companies, including Apple, Bank of America, and Amazon to analyze and disclose these gaps. As the gender pay equality movement has grown, it has become clear that access to jobs and a fair chance at promotion are crucial inputs to solving the gender pay gap. Shareholders have increasingly pressed companies to explain how they ensure equal access to employment for women and minorities. Walden and Trillium Asset Management have led the charge by filing dozens of shareholder proposals over the past few years, persuading a number of companies in the retail and financial services sectors to disclose equal opportunity statistics. Investors have recognized the importance of systemic change, and the need to interact with public policy. Investors like Boston Common Asset Management and Pax Ellevate Management have submitted letters to the U.S. Securities and Exchange Commission and Equal Employment Opportunity Commission requesting that it require public companies to disclose board diversity metrics and gender pay ratios on an annual basis. In 2016, an investor coalition led by Trillium submitted a letter opposing the North Carolina Bathroom Bill, consistent with Gender Equality Funds’ support of eliminating discrimination of all kinds. And this year, the Council of Institutional Investors endorsed a board diversity disclosure bill introduced in Congress. There is still a long way to go to reach gender parity. Women only hold 17.7 percent of board seats on Russell 3,000 companies. And companies must be challenged to consider gender equality beyond the confines of their office buildings. As the Criterion Institute points out, a gender lens extends past internal corporate practices and policies, and must consider how companies’ products and services benefit women. I look forward to seeing how investors continue to take the lead in advancing gender equality. Gabe Rissman is the co-founder and president of Yourstake.org, which helps individuals use their shareholder voice to advocate for corporate social change. Gabe also co-founded Real Impact Tracker, which scores the social impact of investment funds. Gabe is the former co-head of Yale’s Dwight Hall Socially Responsible Investment Fund, which became the first undergraduate organization to file a shareholder resolution. Gabe graduated from Yale College with a B.S. in Physics. When he’s not working, Gabe likes to eat Thai food and talk about moral philosophy.